10 years ago, those three little words used to be so exciting. Who had popped into your inbox and made that little envelope notification appear? And what had they sent? Perhaps some ‘high quality’ Fri-yay memes, a joke, some cute cat pictures? The opportunities were endless. The excitement started to wear off. Unless you were looking to buy this and that, those kind of emails were boring. They weren’t worth reading because they provided no value. As masses of emails got relegated to the trash bin, marketers knew they needed a new tactic. Email is still a fantastic way to reach your audience, you just need to know how to use it to your advantage. You need to send valuable content that your list want to read, at the right time. Before your audience will part with their hard earned cash and buy your products or services, they need to have the Know, Like, Trust Factor with you. It can take up to 7 touch points to build these three things. Email is a quick, easy and guaranteed way to reach your audience and build the necessary relationship of trust. Advertising can be a real business expense. Radio spots, TV coverage, and magazine ads can all set you back thousands of dollars. By comparison, email marketing is pocket change. For the small monthly fee to your email marketing provider, you can earn thousands in return. Depending on the size of your list, some email providers give you the basic mailing and automation functions for free. That return on investment is so impressive that statistically, for every $1 spent you could get $38 back in sales. Email has become a vital communication tool, people expect to receive them. For that reason, they also trust the medium. It is a professional and direct way of staying in touch with prospective, present and past customers. Not only that, but it is convenient. People walk around with their inboxes in their pocket or purse via their smartphones. That means they can get the information you sed instantly and are always able to access it. A flyer in the mail, or a Facebook ad can be quite impersonal. But with email, you have the ability to personalise it by adding their name, segmenting their interests and only sending the content that is relevant to each subscriber. You can write like you are speaking to an old friend to build a strong relationship. Automation is like a little piece of technological magic. You can set up email campaigns to run on autopilot. These can be to welcome people to your list, to educate them on a certain aspect, to give them the opportunity to buy, or to sign up for courses or webinars you might be running. All of these functions without any of the manual emailing. Total time saver! Increased Revenue: You can give your subscribers the opportunity to buy from you in your regular newsletter, or you can spoil them with special offers, discounts, early releases, bonus packages, and everyday great prices. Each of these is an opportunity to increase your revenue. Increased Traffic: If they are on your email list, then they are interested in your business. They are warm leads that like what you do. So driving the traffic back to your website from your emails results in great conversions. It also allows subscribers to learn more about your business. Increased Conversions: Moving subscribers through your various funnels provides a quick and efficient way to convert them from prospects to real paying customers. You nurture, educate, convince and convert all in one cleverly constructed email series. Increased Brand Awareness: Receiving your emails keeps your business front of mind for your subscribers. That is important for not only attracting new sales, but also for keeping your current customers interested and ready to buy from you again and again. Let’s face it, you want to embrace a number of tactics to make your marketing as effective as possible. Email can help tie your tactics together by directing traffic either to your various platforms, or using those platforms to attract people to sign up to your list. Advertise your lead magnet on social media, or drum up attention for a Facebook giveaway by advising people in email. Grow your social media audience by including social buttons in your emails, and grow your email list with a call to action in your blog posts. 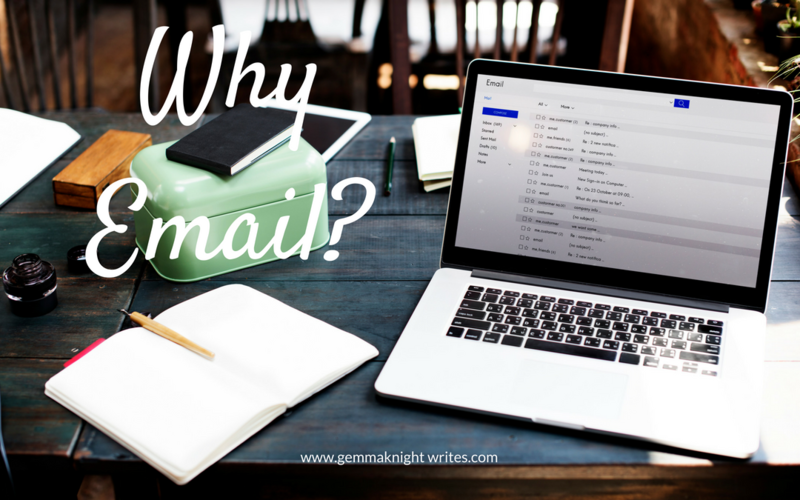 Email is a great way to get more eyes on your content and to drive traffic back to your website where all the magic happens! Finally, the most important benefit of email marketing. It is an asset that you own completely. If you got locked out of your Facebook page, shadowbanned on Instagram, or blocked from Twitter, you have lost the way to contact your audience. Plus, less than 5% of your followers get to see your content organically. You have to pay to play if you want more eyes on your social media posts. But with email, you can guarantee that each email you send will reach every one of the subscribers on your list. You have control of the content you provide to your audience and when you send it. Do you want to write quality written content that converts?